When you need a plumber, you want the experience to be as easy and quick as possible. To help you get the right plumbing service we have put together a list of some of the most frequently asked questions our customers have. We encourage you to take a look at these questions and if you still have any concerns you can contact us to see what services are available and the prices for them. Our customer service team is friendly, and they are happy to help you. 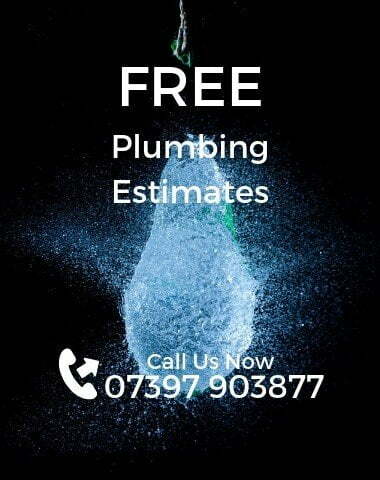 Any time you have an issue with your plumbing, it’s easy to give us a call. To help you we have put together some quick fixes and a way to diagnose simple problems. What Causes My Drain To Clog? The most common cause of a clogged drain is that something gets in it that shouldn’t be there. This happens especially in the kitchen, but the bathroom drains also can be clogged from hair and soap residue. It’s important to always be conscious of what is going into your drains, and you should also regularly treat them with a quality drain cleaner like Bio-Clean. Most of the time when a faucet is dripping it’s easy to fix it. It might need its internal mechanisms rebuilt or in some cases replaced. This can be fixed relatively inexpensively. If you turn your faucets off gently as opposed to forcefully it will extend the life of your washers. You should regularly inspect your pipes to make sure they are free of lime or rust because this can ultimately cause the pipes to start leaking. If you find that this is already happening you can call Alban Plumbers to come to your home. When you take the time to do an inspection you could help prevent a small problem from becoming more significant and more expensive. If your pipes do start leaking, they can damage your belongings and your floors, and this can lead to substantially higher cost for repairs then it would if you detected it earlier. What Should I Do If My Heater Is Leaking? As soon as you find this is happening you should call Alban Plumbers. The most common reason for this happening is that the bottom of the tank has rusted out. Once this has happened there really isn’t a right way to repair it. You will likely need to get a new water heater. Do I Really Need To Fix A Running Toilet? Beyond the annoyance of having a running toilet is the fact that it wastes a tremendous amount of water and money. Remarkably, it can waste up to £100 a year or more on your water bill. This problem happens because there is something within the toilet mechanism that is broken. It’s possible sometimes to wiggle the flush a bit to solve the problem. But if that doesn’t solve it, then it’s likely you will need to replace the flushing mechanism. When you contact Alban Plumbers, we can help diagnose the problem. If My Drain Is Clogged Or I Have A Leaky Faucet Is It Really Necessary To Get A Plumber? Yes, you should call a plumber in those situations. A plumber has the experience to make a proper diagnosis. Their skills and craftsmanship and their experience installing and repairing pipes along with other fixtures give them the knowledge to properly diagnose clogged drain problems and to help you fix those issues along with other plumbing problems that may exist in your home. Alban Plumbers has a dedication that sets us apart from other similar services and our technicians continue to get training and education in the most updated techniques in plumbing, and they have access to the tools that help them provide the best work possible for our customers. We not only provide our plumbers with technical training but we are well established as a leader in customer service. This means you’ll not only get the best workmanship, but you’ll receive it from a highly courteous and professional technician. Can Alban Plumbers Install Plumbing Fixtures Or A New Sink In My Home? If you’re handy, it’s possible you’re capable of handling this type of job by yourself. It’s even possible for you to go to one of the big Home Centers where they will show you how to do it. That said, our experience has taught us that there are a number of projects that are better suited for professionals. Our company has been called by many customers who started a project and then got stuck. At Alban Plumbers we provide the highest quality installation and upgrades of toilets, laundry hookups, sinks, laundry tubs, showers, whirlpool tubs, garbage disposals, bathtubs and more. Our customers enjoy the fact that we are skilled craftsmen in remodelling kitchens and baths. Whether you need a sink or faucet replaced or you want an entirely new kitchen, Alban Plumbers should be your first call. What Areas Do Alban Plumbers Service? We service customers throughout St. Albans, Harpenden, Stevenage and other Hertfordshire suburbs. We perform the highest quality work on every job. We offer several services, and these include central heating repairs, boiler repairs, along with maintenance and installation. When you call us, we try to get with you as fast as possible, and we will come out and inspect your system so that we can determine what is the best way to help you.